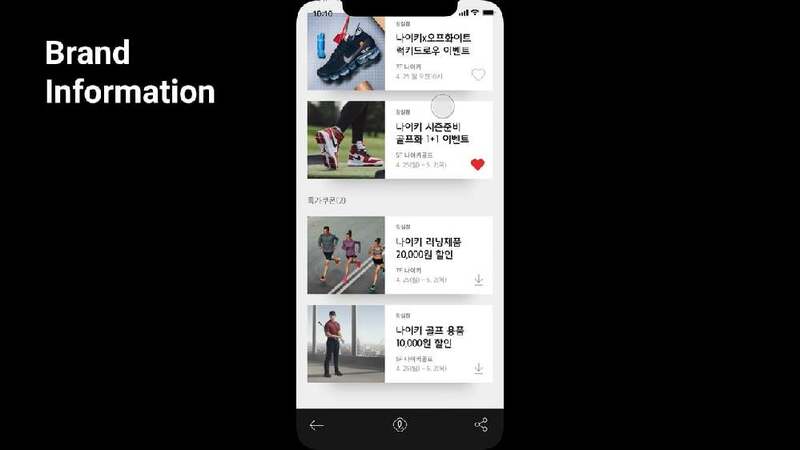 The Mobile Shopping Concierge app by Lotte Department Store has been designed to integrate multifunctional processes at a single touchpoint. From product choice to transaction, a variety of activities including saving loyalty points, coupons or mobile credit cards are handled by the app. Through personalised video clips, customers get the impression as if they were on-site of the respective branch, since each of the retail company’s 60 branches features its own identity. Furthermore, the app not only enhances customer loyalty through a distinctive user interface offered only to premium users, it also provides concierge services, which so far have only been offered in the offline stores. Jina Paeng Yujin Jo Keewoong Kong Seunghwan Cha Sora Yun Jaebum Park Myunggu Kim LOTTE Shopping Co., Ltd. Jaehoon Jung ADCAPSULE Soft Co., Ltd.
Sungmin Hong Soyoung Kim Heejin Choi Jinwoo Choi ADCAPSULE Soft Co., Ltd.
Jaeho Lee Won Namgung Minhyuk Lee ADCAPSULE Soft Co., Ltd.
Junhak Kim Junsang Song Inyoung Hwang Hansol You Miroo Wu ADCAPSULE Soft Co., Ltd.